DIY tasks can be made a lot easier if you have access to the right tools. These tools are essential to maintaining and organizing your household. 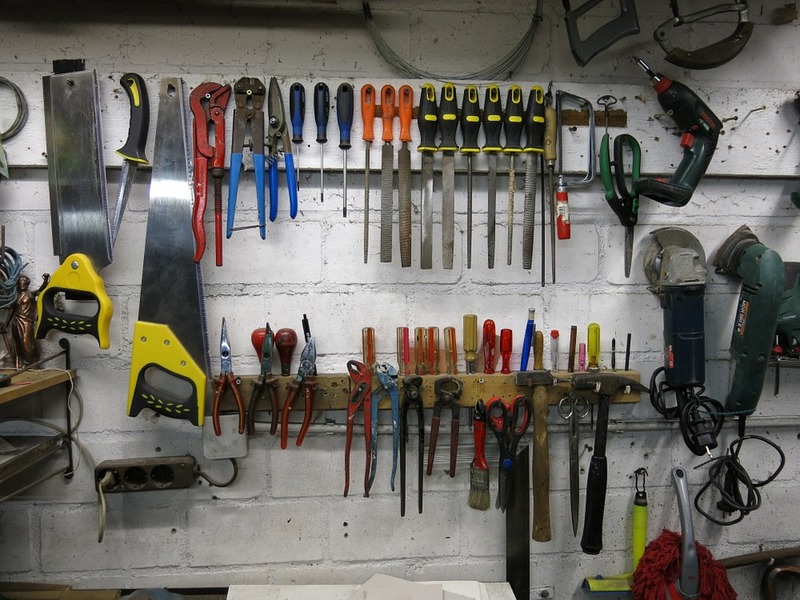 You will also need a toolbox or pegboard to adequately store them. When everything is said and done, your new tools will help you make minor and major improvements around the house. Let’s discuss the three most important tools you will run into when carrying out a home improvement project. A screwdriver is the most essential tool on this list. Even if you’re not into the entire DIY mindset, it helps to have a couple of screwdrivers lying in your garage just in case the need arises. The two most common types of screwdrivers are the flat and cross head types, and they will serve most of the time. Before going through the purchase, make sure the screwdrivers have magnetic tips for easy picking and a comfortable grip to minimize the force applied when screwing and unscrewing. The tips on the screwdrivers can become worn out after persistent use, and this will make them difficult to use later on. A neat trick to increase the lifespan of the screwdriver is to file the tips. This way, the tips will have sharp sides that are parallel and effective once more. No DIY toolbox is complete without a pair of claw hammers. The blunt, round side of the claw hammer is ideal for driving in nails, while the clawed end pulls out nails that are bent out of shape. There is a wide variety of sizes available for the claw hammer, including the curved claw hammer, straight claw hammer, and the framing hammer. A good trait of user-friendly claw hammers is a rubber or plastic handle that absorbs shock or recoil as the user applies force onto nails. Another trait to look for is the face of the hammer. Serrated faces are optimized to prevent instances of glancing blows, making it less likely for the hammer’s head to slide against the nail. You should clean grit and debris from the head regularly; otherwise, it will become engrained with the head. This will increase the likelihood of the nails bending against applied force more frequently. You can clean the head with wire wool or sandpaper when needed. To restore the clawed end, you can use a flat metal file to smooth the edges. Electric drills are used to create holes to drive in screws when a screwdriver is no longer suited for the job. You can purchase cordless electric drills if you are concerned about the length of the extension cord, although they will be more expensive. Depending on the job, you will need different types of electric drills. It is advised to use a cordless drill if it is common for the battery to run out in the middle of drilling sessions. Low capacity batteries place the burden on the motor, and they can reduce the lifespan of the drill. Found a tool that fits the job perfectly, but it’s too expensive? Why not rent it at Garage101? Visit our website and find your favorite tool at market-competitive prices or just rent them out. Click here for more information.